Full Moon in Cancer – exact Saturday morning at 9:50 am Pacific. This full moon occurred at the first degree of Cancer, which is the most powerful degree of any sign. This entry was posted in Astro Reports and tagged #fulfillment, Astrology, Cancer, Cancerian, Capricorn, card readings, codependency, counseling, Feminism, followyourbliss, Full Moon, goddess religion, integrity, Magick, spirituality, wellness, Winter Solstice, Witchcraft, Witches on December 22, 2018 by LizRose93. 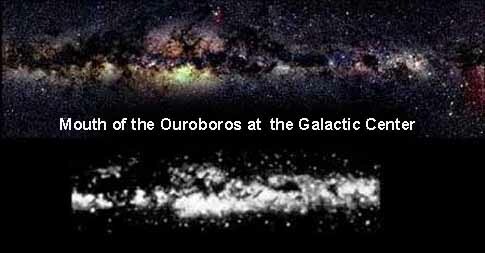 “The Ouroboros is believed to have been inspired by the Milky Way. 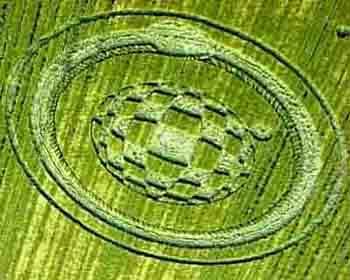 which, according to Ancient Alien Theory, was a spaceship or stargate. 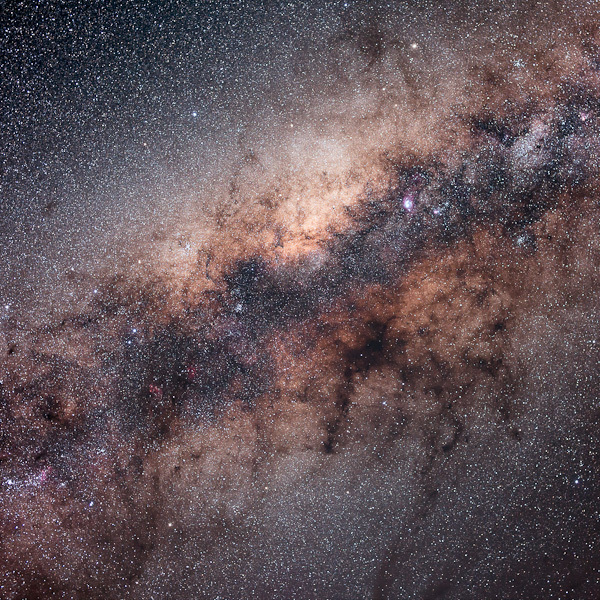 Mythology: The Milky Way galaxy keeps a time cycle that ends in catastrophic change when the serpent eats its tail (at the end of the tale of this reality.) 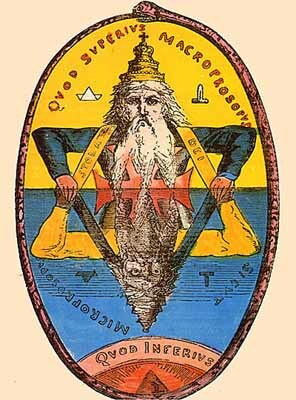 Suntelia Aion is the sun rising out of the mouth of the ouroboros, which allegedly occurs December 21, 2012 – representing the evolution of consciousness in the alchemy of time. The serpent or dragon eating its own tail has survived from antiquity and can be traced back to Ancient Egypt, circa 1600 B.C.E. It is contained in the Egyptian Book of the Netherworld. 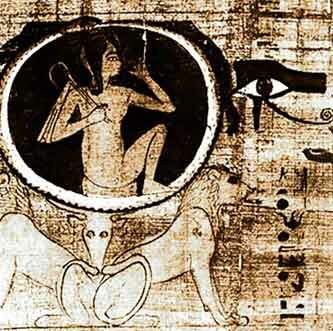 The Ouroboros was popular after the Amarna period. 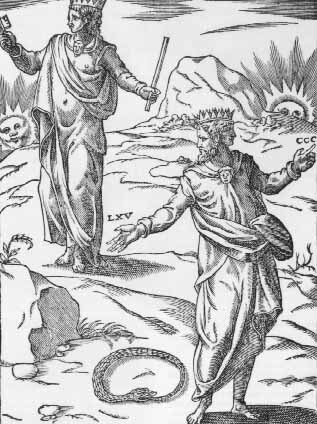 In the Book of the Dead, which was still current in the Graeco-Roman period, the self-begetting sun god Atum is said to have ascended from chaos-waters with the appearance of a snake, the animal renewing itself every morning, and the deceased wishes to turn into the shape of the snake Sato (“son of the earth”), the embodiment of Atum. 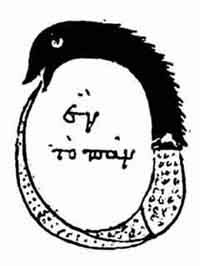 The famous Ouroboros drawing from the early alchemical text The Chrysopoeia of Cleopatra dating to 2nd century Alexandria encloses the words hen to pan, “one is the all”. Its black and white halves represent the Gnostic duality of existence. 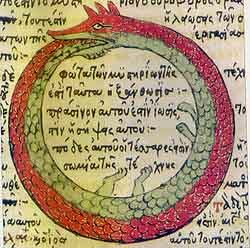 As such, the Ouroboros could be interpreted as the Western equivalent of the Taoist Yin-Yang symbol. 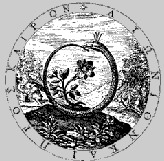 The Chrysopoeia Ouroboros of Cleopatra is one of the oldest images of the Ouroboros to be linked with the legendary opus of the Alchemists, the Philosopher’s Stone. Plato described a self-eating, circular being as the first living thing in the universe – an immortal, mythologically constructed beast. The living being had no need of eyes when there was nothing remaining outside him to be seen; nor of ears when there was nothing to be heard; and there was no surrounding atmosphere to be breathed; nor would there have been any use of organs by the help of which he might receive his food or get rid of what he had already digested, since there was nothing which went from him or came into him: for there was nothing beside him. Of design he was created thus, his own waste providing his own food, and all that he did or suffered taking place in and by himself. For the Creator conceived that a being which was self-sufficient would be far more excellent than one which lacked anything; and, as he had no need to take anything or defend himself against any one, the Creator did not think it necessary to bestow upon him hands: nor had he any need of feet, nor of the whole apparatus of walking; but the movement suited to his spherical form was assigned to him, being of all the seven that which is most appropriate to mind and intelligence; and he was made to move in the same manner and on the same spot, within his own limits revolving in a circle. All the other six motions were taken away from him, and he was made not to partake of their deviations. And as this circular movement required no feet, the universe was created without legs and without feet. In Gnosticism, this serpent symbolized eternity and the soul of the world. 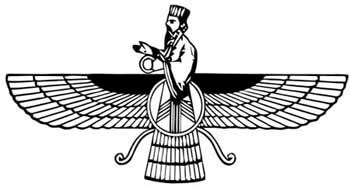 Because the Albigenses came from Armenia, where Zoroastrianism and Mithra worship were common, it may be that the symbol entered their iconography via the Zoroastrian Faravahar symbol, which in some versions clearly features an ouroboros at the waist instead of a vague disc-shape. In Mithran mystery cults the figure of Mithra being reborn (one of the things he is famous for) is sometimes seen wrapped with an ouroboros, indicating his eternal and cyclic nature, and even references which do not mention the ouroboros refer to this circular shape as symbolizing the immortality of the soul or the cyclic nature of Karma, suggesting that the circle retains its meaning even when the details of the image are obscured. 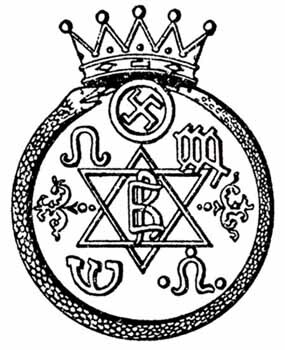 Ouroboros symbolism has been used to describe Kundalini energy. According to the 2nd century Yoga Kundalini Upanishad, “The divine power, Kundalini, shines like the stem of a young lotus; like a snake, coiled round upon herself she holds her tail in her mouth and lies resting half asleep as the base of the body” (1.82). Another interpretation is that Kundalini equates to the entwined serpents of the Caduceus, the entwined serpents representing commerce in the west or, esoterically, human DNA. 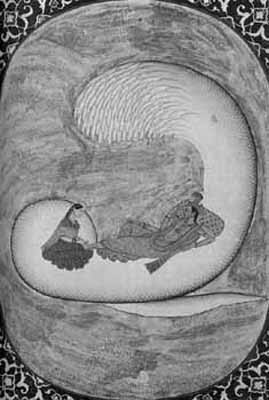 The Kirtimukha myth of Hindu tradition has been compared by some authors to Ouroboros. 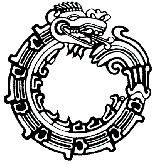 Ouroboros… the dragon circling the tortoise which supports the four elephants that carry the world. Chinese Ouroboros from Chou dynasty, 1200 BC. The universe was early divided into Earth below and Heaven above. 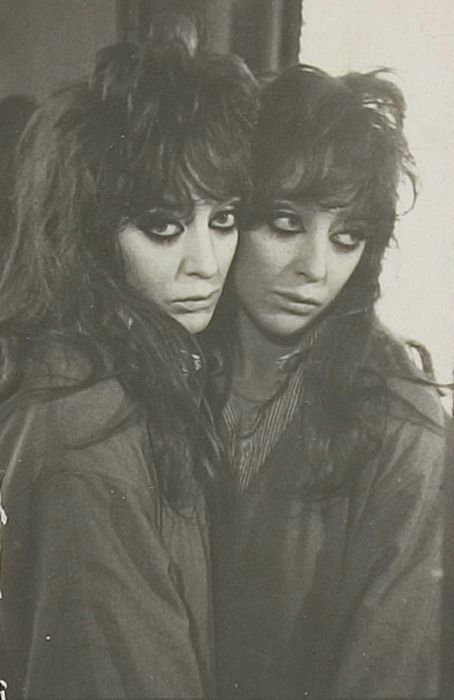 These, two as one, gave the idea of opposites but forming a unity. Each opposite was assumed to be powerful and so was their final unity. For creation of the universe they projected reproduction to conceive creation. Now reproduction results in the union of two opposites as male and female. Correspondingly, the Chinese believed Light and Darkness, as the ideal opposites, when united, yielded creative energy. The two opposites were further conceived as matter and energy which became dual-natured but as one. The two opposites were yin-yang and their unity was called Chhi. Yin-Yang was treated separately in Chinese cosmology which consisted of five cosmic elements. 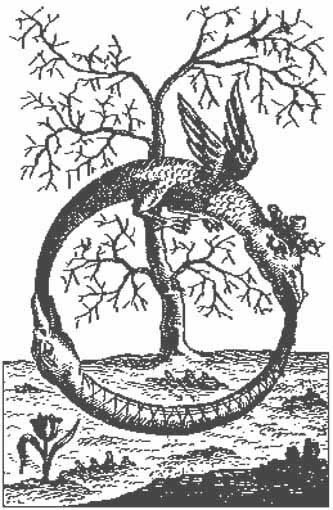 Since Chinese alchemy did reach Alexandria probably the symbol Yin-Yang, as dual-natured, responsible for creation, was transformed into a symbol called Ouroboros. It is a snake and as such as symbol of soul. Its head and anterior portion is red, being the color of blood as soul; its tail and posterior half is dark, representing body. Ouroboros here is depicted white and black, as soul and body, the two as “one which is all.” It is cosmic soul, the source of all creation. Ouroboros is normally depicted with its anterior half as black but it should be the reverse as shown here. With the name Chemeia taken to Kim-Iya, the last word would take Ouroboros to Yin-Yang. 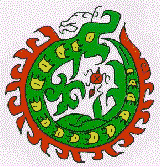 The serpent god Quetzalcoatl is sometimes portrayed biting his tail on Aztec and Toltec ruins. A looping Quetzalcoatl is carved into the base of the Pyramid of the Feathered Serpent, at Xochicalco, Mexico, 700-900 AD. In Norse mythology, it appears as the serpent Jormungandr, one of the three children of Loki and Angrboda, who grew so large that it could encircle the world and grasp its tail in its teeth. In the legends of Ragnar Lodbrok, such as Ragnarssona patter, the Geatish king Herraud gives a small lindworm as a gift to his daughter Pora Town-Hart after which it grows into a large serpent which encircles the girl’s bower and bites itself in the tail. The serpent is slain by Ragnar Lodbrok who marries Pora. Ragnar later has a son with another woman named Kraka and this son is born with the image of a white snake in one eye. This snake encircled the iris and bit itself in the tail, and the son was named Sigurd Snake-in-the-Eye. frontispieces and other imagery, especially during the 17th century. along with other traditional symbols. 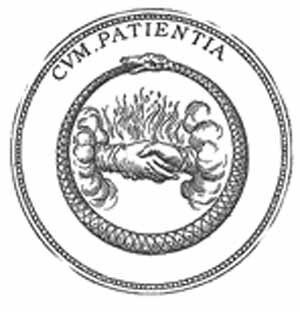 The Ouroboros symbol appears in both 14th- and 15th-century Albigensian-printing watermarks and is also worked into the pip cards of many early (14th-15th century) playing cards and tarot cards. Watermarks similar to those used by the Albigensians appear in early printed playing cards, suggesting that the Albigenses might have had contact with the early authors of tarot decks. 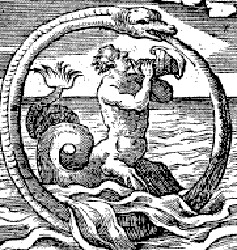 A commonly used early symbol – an ace of cups circled by an ouroboros – frequently appears among Albigensian watermarks. 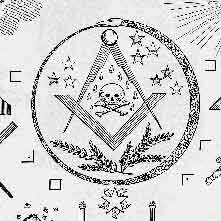 It is conceivable that this is the source of some of the urban legends associating this symbol with secret societies, because the Albigenses were closely associated with the humanist movement and the inquisition it sparked. Alchemically, the ouroboros is also used as a purifying glyph. 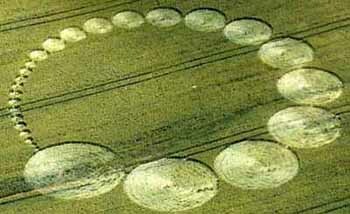 Ouroboros was and is the name for the Great World Serpent, encircling the Earth. The word Ouroboros is really a term that describes a similar symbol which has been cross-pollinated from many different cultures. Its symbolic connotation from this owes to the returning cyclical nature of the seasons; the oscillations of the night sky; self-fecundation; disintegration and re-integration; truth and cognition complete; the Androgyny; the primeval waters; the potential before the spark of creation; the undifferentiated; the Totality; primordial unity; self-sufficiency, and the idea of the beginning and the end as being a continuous unending principle. Ouroboros represents the conflict of life as well in that life comes out of life and death. ‘My end is my beginning.’ In a sense life feeds off itself, thus there are good and bad connotations which can be drawn. It is a single image with the entire actions of a life cycle – it begets, weds, impregnates, and slays itself, but in a cyclical sense, rather than linear. Thus, it fashions our lives to a totality more towards what it may really be – a series of movements which repeat. 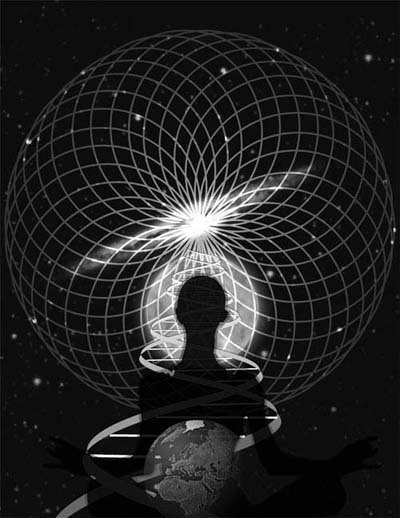 “As Above, So Below” – we are born from nature, and we mirror it, because it is what man wholly is a part of. 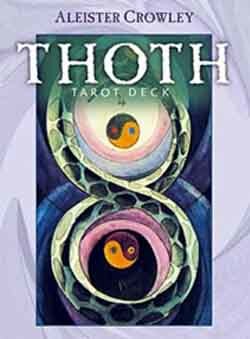 It is this symbolic rendition of the eternal principles that are presented in the Emerald Tablets of Thoth. The Jungian psychologist Erich Neumann writes of it as a representation of the pre-ego “dawn state”, depicting the undifferentiated infancy experience of both mankind and the individual child. The 19th century German chemist named Kekule dreamed of a snake with its tail in its mouth one day after dosing off. He had been researching the molecular structure of benzene, and was at a stop point in his work until after waking up he interpreted the dream to mean that the structure was a closed carbon ring. This was the breakthrough he needed. Organic chemist August Kekule claimed that a ring in the shape of Ouroboros that he saw in a dream inspired him in his discovery of the structure of the benzene ring. This entry was posted in Folklore and tagged alchemical, alchemy, ancient Greece, Art, Folk Art, Four Elements, gnostic, goddess religion, Jung, Magick, Ouroboros, pagan, Paganism, spirituality, Witchcraft on September 29, 2017 by LizRose93. Brigid, meaning “exalted one”, is the daughter of the Dagda and a true survivor goddess. 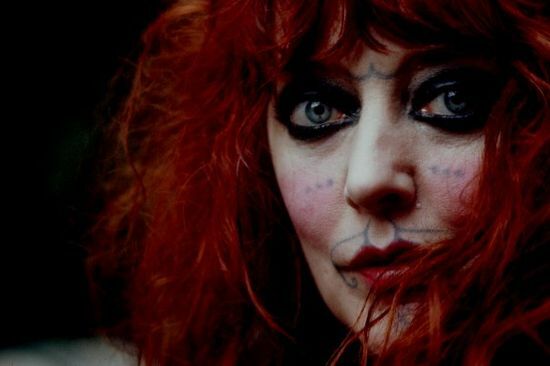 Throughout the many twists and turns of religion in the British Isles, Brigid has managed to stay within the heads and minds of the people. Whether in the form of a saint, a goddess, or the embodiment of the land, she is the keeper of tradition that stretches into antiquity. 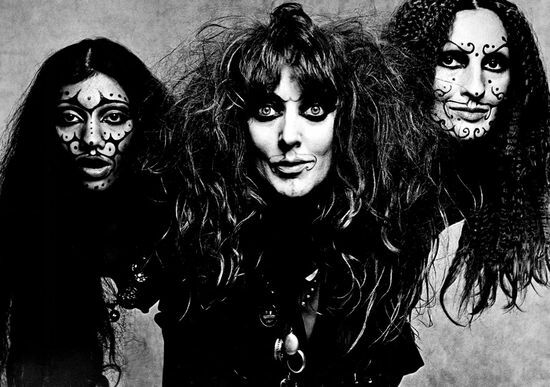 Witches and pagans who maintain a religious devotional practice often honor Brigid only on Imbolc. But as this next Imbolc approaches, I ask you to take that a step further and maintain a regular practice with her, if she calls to you. 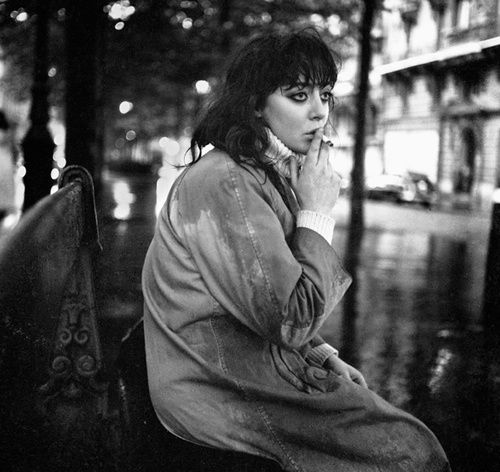 Brigid is a poet, a smith, a healer, an artist, and the kindler of flames. For those familiar with the Norse runes, you might think of her power best described by Kenaz, the torch rune. She ignites the inner flame within us, allowing us to seek our own healing, our own power. She asks “What tools do you bring to this work? 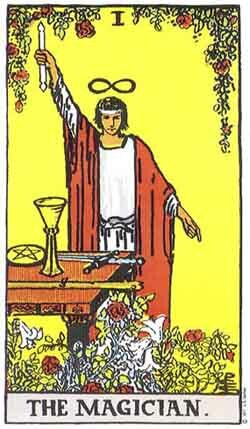 What do you need?” The following is a simple devotional you may perform on Imbolc or any time at all. If you wish to form a close bond with the Exalted One, regular devotionals, prayer, and deep listening will go a long way. Early in the morning, just as the sun is rising, approach your altar space or some other space in the home where you can see the sun if possible. Begin by breathing slowly and deeply, until you enter a state of meditation suited for deep communion with the gods. With each breath, feel the first rays of the sun flowing into your body, as if on a stream of flowing water or the crisp sweetness of wine. Have three fresh candles before you. You may wish to dress them with oils and plants associated with Brigid such as angelica, myrrh, wisteria, heather, and basil. Lady of the forge, I call to you. The fierce strike of the anvil resounds the call for transformation. I honor you. Lady of the healing cloth, I call to you. Sunlit rays upon the dawn awaken the weary travelers. I honor you. Lady of the sacred flame, I call to you. You who are eternal and forever unending. The holy spark. I honor you. Take your time observing the light of the three candles and meditate for a bit on these powers that you have honored. Contemplate how transformation, the renewal of a new day, and the warmth of a flame in the winter make you feel. Brigid is the embodiment of these powers on their own and the feelings that stir as a result of them. Pour the brew into the bowl and raise it high before you. At this point I try to notice if I can actually feel her presence. I may also whisper personal words of honor, or even poetry. As a bardic goddess, I find that Brigid is often impressed when someone takes the time to speak original poetry in her name. Writing and releasing this devotional is one such offering. When you’re done, you can leave the offering bowl on your altar for a bit or immediately take it outside and pour it (with reverence) onto the ground. “Happy Imbolc! We’re in the part of the zodiacal calendar when the Sun is halfway between the season. Here in the northern hemisphere we’re in mid-winter, the time when the Sun hits around 15 Aquarius. The ancients celebrated these “cross quarter days” with different rituals and festivals. Halloween is another one of the four festivals along with Beltane/May Day (5/1) and Lammas Day (8/1). Here in the US, we celebrate Groundhog Day and predict the arrival of spring. This entry was posted in Folklore, Magick and tagged Brigid, Brigit, Celtic, Devotional, Imbolc, Offering, pagan, sabbat, Witchcraft on February 2, 2016 by LizRose93.